Are you a super talented woman holding yourself back from the life you really want and hiding your skills and talents from the world? Are you limiting yourself and your dreams because of what your spouse, parents, society or culture think and TELL you that you should be doing with your life? Are you busy chasing every qualification and certification under the sun but still feel empty and like it's never enough? Are you too preoccupied with what others will think and remaining stuck and invisible because of it? Are you staying stuck in your 9-5 because you're fearful of making the change and unsure of what steps to take? Well i'm calling B to the S on that lady ! YOU'RE TIRED OF THE STATUS QUO, YOU KNOW THAT YOU ARE MEANT FOR SO MUCH MORE BUT DON'T KNOW HOW YOU CAN MAKE THINGS HAPPEN FOR YOURSELF. Did you know that your desires are there for a reason? They are there to show you what's available to you and ready to be claimed by you. Struggling to create a life on your own terms. Feeling unable to step up despite feeling stuck and unfulfilled in your 9-5. Pursuing "respectable" careers that are not your real passion to get credibility and feel validated. Bowing down to the wishes of society, culture and a male dominated society that tells you that your wishes and desires come last. Held back from sharing your real talents with the world and feeling conflicted, stuck and stagnant as a result. Crippled by self doubt and fears making you wonder if you have what it takes. Telling yourself that maybe it's easier to stick with that job or maintain the status quo. You’re telling yourself it’s unlikely you would make it a success anyway. Feeling like success is possible for everyone else but you. deep down, you know that you’re meant for more. You know that you’re the woman that’s meant to change things. You’re the woman who dares to be different. You’re the woman who is going to take that stand for all the other women so that they can step up too. Finally create a life on your own terms even if you feel like you’ve been living on the terms of others most of your life. No longer had to keep your talents hidden and could unleash them into the world with deep knowing that you have the tools to overcome any fears and doubts. Feel comfortable showing up in the world as the REAL you. No more hiding or pretending to be something you’re not. Reconnect with who you are as a person, outside of your job title and the roles you have played in the corporate world. Finally bring your ideas and dreams to life so that you can move forward with confidence and grace knowing that you have a real plan in place that will help you redesign your life the way you want it. Fall back in love. With what you do, with life and with yourself. I’ve also experienced first hand what living life on other's terms and being weighed down by society's expectations looks like and I've come through the other side standing boldly and proudly in my own lane as a business owner. I always got the impression that my education wasn't considered as important as the boys in the family, but as a feisty and passionate teenage girl, I had other ideas. I passed all my exams with flying colours and applied to University to pursue my dreams of becoming a lawyer. Only to be told by my parents that I wouldn't be going to University because that wasn't what girls did (at the risk of sounding ancient, this was 20 years ago so times were very different then). This had been my dream for years and now I was being stopped from going after it. And all because I was a girl. The fiesty, teenager within me with my Western upbringing just couldn't understand or come to terms with my dreams being struck down in this way. But I wasn't about to take no for an answer so I set about convincing my parents this was something I absolutely had to do. TWO YEARS later I started University and started to pursue my dream of being a lawyer. 4 years after that I had finished my law degree and post grad and started my first position with a law firm. I'd love to say I lived happily ever after that but even though I got my way, deep down, there had been some very unhelpful seeds sown. Somehow, I had cultivated some deep seated beliefs around what I deserved, what I was worthy of, around money - that I shouldn’t earn too much because money was bad (for years I was stuck on the exact salary number I told my dad I could earn by going to University). Also, beliefs around how I couldn’t be too successful because I might change too much or that people around me might change, that my gender meant I could only have so much. Even worse, I thought that if I did pursue my dreams, someone, I loved dearly (like my mum who died when I was at University) might be snatched from me. It was like a spiral of negative thoughts keeping me stuck and miserable. These thoughts followed me in my career which had by then transitioned into legal recruitment and I went by in life, putting upper limits on myself, self sabotaging, and playing small and thinking negative thoughts that kept me stuck, stagnant, frustrated and unable to see any way out. It was when I discovered coaching and started to believe in myself again, that things finally started to shift. I realised that there was more out there for me. I COULD create my own reality. I COULD pursue what I wanted. The road was still rocky and for a while I had a yo-yo relationship with mindset. Wanting and knowing that I could succeed but being held back by sabotaging behaviours, unworthiness and fears galore. Not putting myself out there fully. (after all years of conditioning is not overcome overnight) however, gradually, I overcame my fears, eliminated the negative self talk, worked on my limiting beliefs and years of conditioning. I worked with my own high level coaches and mentors and we dived deep into mindset and conditioning and undoing all the crappy stories I had told myself or listened to from others. I watched in amazement as my life transformed before my eyes. I no longer recognise myself from the person I was and sometimes I have to pinch myself to believe how far I have come. I now live my dream life EVERY day. I work with amazing women who are doing big things in the world and who thank me for helping them to become who they were born to be, and to step into THEIR true greatness. I’ve uplevelled myself in a big way. Overworking and feeling like I had something to prove all the time. Freedom loving entrepreneur with ability to travel and work from anywhere – laptop lifestyle. Embracing Spirituality, ease and abundance. As a Mindset & Business Confidence Coach, I never cease to be amazed at the results my clients create for themselves when they breakthrough their limits and conditioning and say yes to themselves. But I see so many bright, vibrant, talented women being held back. Held back by their limiting beliefs, by what other people think, what society thinks of them and being moulded into something they are not. Talented women being stifled at every turn from living their dreams and following their passion. And if that’s you. Know that you don’t have to put up with that anymore. If it’s possible for me. It’s TOTALLY possible for you too. I know there's a little voice inside of you saying you're meant for something more - something bigger, bolder and better. I hear that voice every day too. If you're here, I'm guessing you've either been ignoring that voice or pushing it away for far too long. well that voice won't be ignored any longer. this is your cue. It's time to give in. Carve out your own powerful identity independent of what society, culture or tradition might dictate to you. Helping you overcome years of societal and cultural conditioning which are keeping you stuck and playing small, which will pave the way for you to make huge inroads in your life and business. Getting you dreaming bigger and bolder and backing that up with the confidence to claim your integral role in the online or offline world where you can show up as the real you. You belong here as much as anyone. Understanding your strengths, skills and talents and uncovering what makes you unique. Define who you are meant to serve so that you can connect with your tribe. Get clarity around your messaging so that you can package up your experience in a way that feels good to you and resonates with your ideal client. Create an actionable marketing plan and sales system so you can achieve your goals and drive your career or business forward. Figuring out what it is that you have to do before you leave this earth and effortlessly creating your action plan that feels joyful, aligns with who you are and where you want to go so that you can follow it with ease and assurance and without abandoning your dream. Identifying and banishing your fears and negative thought patterns so that they no longer stop you from going after what you desire. Saying goodbye to fear of failure, fear of success, fear of judgement and fear of visibility on the way to your dream life and business. Overcome upper-limit issues, combat negative thinking, and replace it with an abundance of confidence so you can emerge as a fearless new you. An in depth welcome package to uncover your biggest limiting beliefs and insecurities that are keeping you stuck. Get ready for some deep shifts. 16 x 45 minute private and personalised coaching sessions focused on increasing your self confidence and self belief so that you can take bold, purposeful and powerful steps towards your dreams. Get ready to crush those goals. Unlimited email support throughout the program so you always know that help is close by if you’re feeling stuck. In this Mindset changing Intensive Session we will dive deep into identifying and overcoming the limiting beliefs and mindset blocks getting in your way and begin reprograming your mind for success. Get ready to feel unstoppable. A 2 hour Skype Mindset Intensive to blast through those mindset blocks that keep getting in the way of your dream life. Get ready to feel unstoppable. 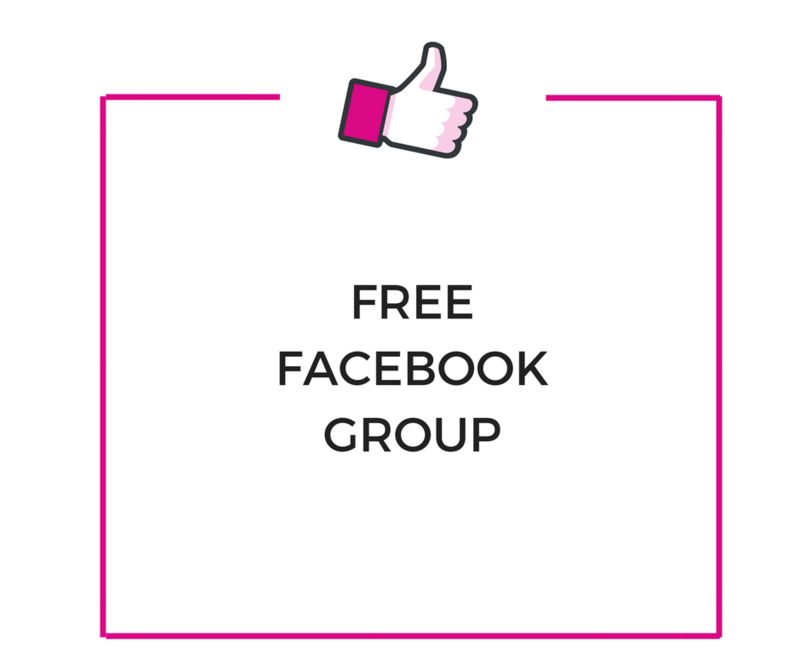 Get an abundance of Free Workbooks, PDFs and Resources tailored to your situation that you will use and refer back to for years to come. Get ready to be FULLY supported. 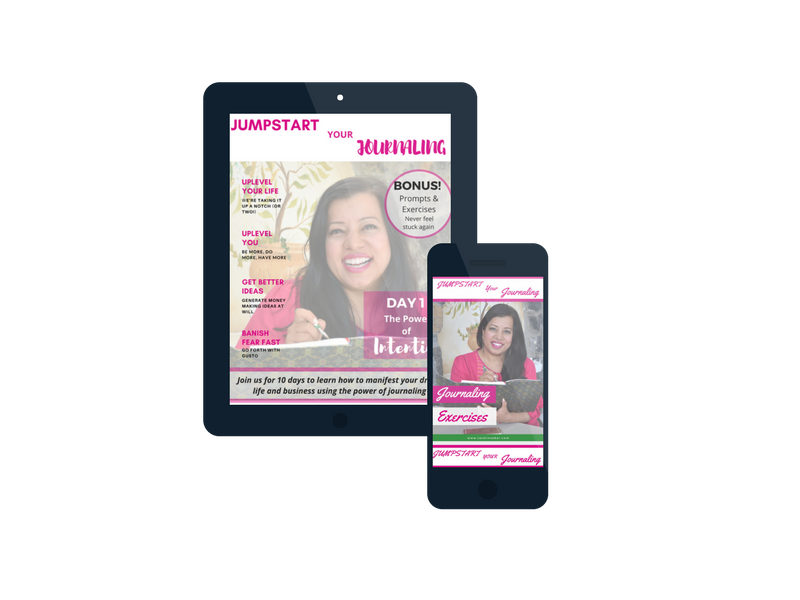 In this mindset changing 10 day self study course you will learn how to use this mindset Power Tool to uplevel your life and business in a major way including journaling prompts and exercises so you can call in your dream life quicker. If you've never done this before, prepare to be BLOWN AWAY. This accompanying workbook will ensure you incorporate the success and mindset habits you need in a way that works for you and YOUR life so whether you are in a full time job or juggling family life with a whole heap of other stuff, you will have the tools that work for you.